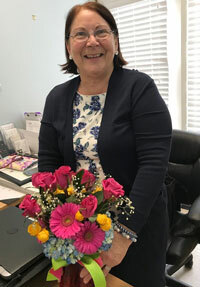 South River Pediatrics, LLC, Congratulates Joan Leahy, CPNP on her retirement. Joan joined our practice in 2016 and worked in our Dunkirk location. On behalf of our entire staff, we thank Mrs. Leahy for the care and the services she provided to our patients and for her contributions to our practice. As Joan celebrates this milestone we wish her the very best on her well deserved retirement.